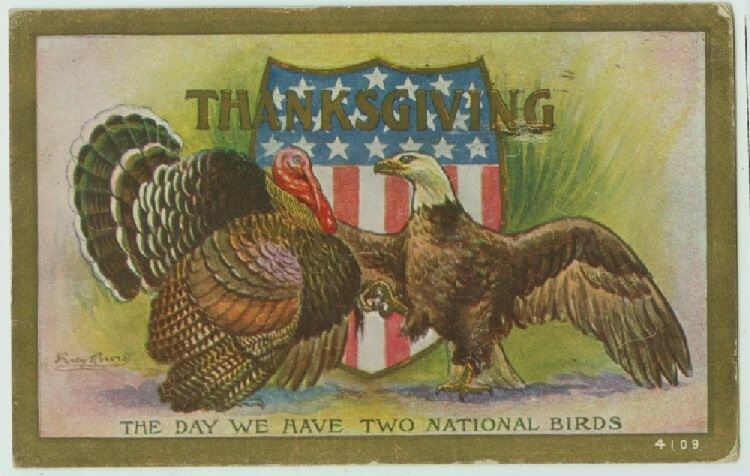 Thanksgiving has two amazing origin stories. The first thanksgiving is usually thought of as the celebration of the bountiful harvest for the Pilgrims. This meal was a three day feast that was shared between Native Americans and Pilgrims. The Pilgrims were celebrating a breakthrough in their new endeavor in freedom- they had finally reached a place of abundance! Before this they had a bitter cold winter, disease, and failed crops. They didnʻt understand how to work the land, and their ability to survive was dependent on this. Enter Squanto. This Native American forged friendship with these newcomers to his land. But before any of that happened he was greatly wronged. He was taken by ship to England and made a slave. He managed to escape and return to America, but his time in England actually prepared him to aid the Pilgrims with translation and mediating friendships with other Native Americans. In forging friendship with the Pilgrims, he taught them how to work the ground so they would actually reap a harvest. This was the first opportunity the pilgrims had to actually feast and celebrate. They had gone to America on faith that it would be a better life for them, where they could live in freedom. And now they were finally starting to thrive, and life in America seemed possible. This was a meal set aside for fellowship. Chief Massasoit and the Wampanoag tribe sat at table with English settlers. It was a meal joining hearts. These people were celebrating their friendship that reached beyond any of their norms. They forged friendship despite vast cultural differences and understandings. They both benefited from operating in trust and love, rather than fear and suspicion. Thanksgiving is a table of friendship where America gathers in unity, thankful for the grace of God. We gather not because we deserve the bounty, or that we have worked so hard to earn it, or because we have done everything right and good. We meet together because God is good, and we have received his mercy. Out of that mercy we can forgive, we can be humble, and we can forge friendships with people who see the world differently than we do. In the midst of trying times, where we may have been wronged, or wrongs have been done to us, we can still rejoice, because we can find something to be thankful for. Whether we face a uncertain tomorrow, or a bountiful feast, we can face each day with joy because we start with thanksgiving. God’s will for us is sometimes more simple than we think. “Rejoice always, pray continually, and give thanks, for this is God’s will for you…” Instead of fear, have faith. Instead of worry, rejoice. Instead of suspicion, trust. Instead of bitterness, forgive. All of this begins, and continues, in thankfulness.